This 2 lb. Pullman loaf pan from Focus features a straight design that is ideal for baking perfectly square bread or pound cake with professional, uniform slices. 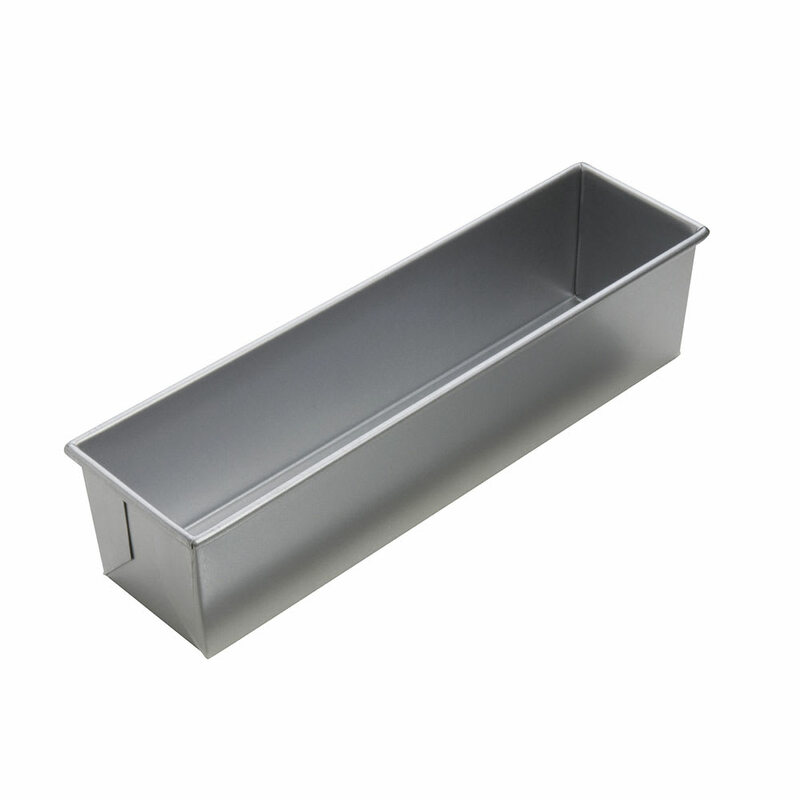 This loaf pan's aluminized steel construction provides quick, even heat distribution, for consistent baking results every time, while the silicone glaze creates easy release for perfectly intact, beautiful loaves of bread and cakes. Pullman's sliding cover may be purchased separately. Pullman Pan, single, 2 lb. capacity, 16" x 4", glazed aluminized steel. Lid not included. "It is exactly the type of baking pan I was looking for. I wanted the pan to bake a nut roll ( Potica ) for the family for the holidays. I have no..."
"great heavy pan .that baked the perfect nut Roll. I am very pleased with them"
"Fine pan. Seals well with matching top. Makes one great loaf every time." "It is exactly the type of baking pan I was looking for. I wanted the pan to bake a nut roll ( Potica ) for the family for the holidays. I have not had an opportunity to use it yet." excellent pan. Seals well no leaking of expanding dough. "Perfect for my sandwich bread"